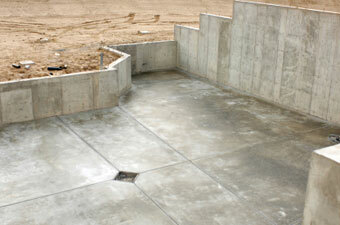 Concrete is hands-down the best, most durable product to lay on a patio, driveway or sidewalk. Concrete requires very little maintenance and provides an attractive, durable product that will serve its purpose beautifully for many years. Understanding the properties and composition of concrete is key to your success at employing its benefits. Even though when concrete solidifies it appears “strong as a rock,” precautions are needed to avoid future cracking. Timing and placement are crucial. A windy day, or even the slightest imperfection of the ground beneath the concrete can ruin the longevity of the concrete (make the concrete more prone to cracking in the future). Midland Masonry knows all of the ins and outs of concrete, and we know how to make sure your concrete not only looks beautiful the day after we’re finished setting it, but also for years to follow!